Plated sends you the fresh ingredients to make meals at home, all sent directly to your house! It's so convenient and even on the busiest nights, it's so easy to make a home cooked meal in about 30 minutes. Plated lets you pick your delivery day, Tuesday or Friday, and in some locations they also offer Monday delivery. It's overnighted via FedEx, and usually arrives fairly early in the day, plenty of time to prepare it for dinner that night. I decided on the Chicken Tostadas with Avocado Dressing, and Shepherd's Pie with Ground Beef and Vegetables. 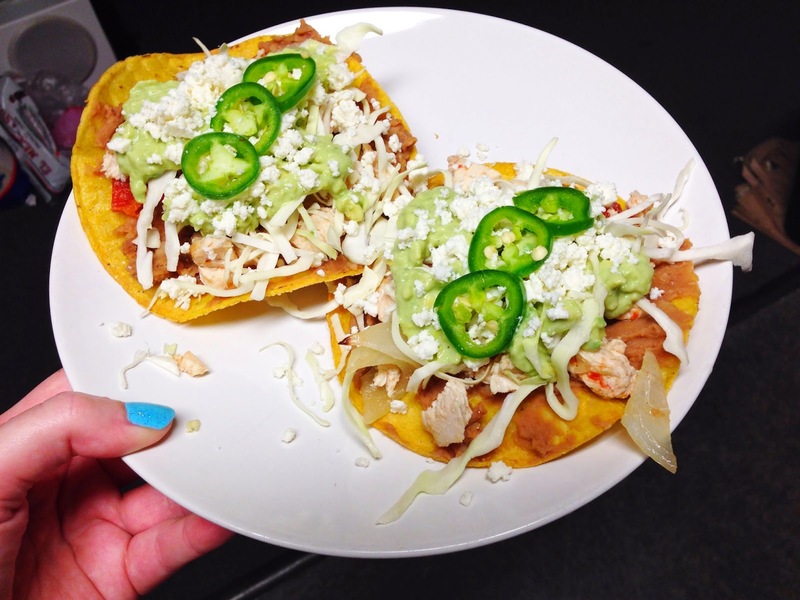 Here are the Chicken Tostadas with Avocado Dressing, I did have a little problem with the part of the recipe where you roast the vegetables and chicken, and then you were supposed to dice them all up for the tostadas. My first problem was we were out of paper towels, but the tomatoes just turned to mush in the roasting process. So I didn't really use them for the dish. Otherwise, this recipe was delicious, and the avocado dressing is definitely something I'll be making again. Maybe for flautas or something like that. The Shepherd's Pie with Ground Beef and Vegetables was going to be interesting. B and I have been making and perfecting a Shepherd's Pie recipe from Alton Brown which we love, and that uses ground lamb. Honestly, I think you can go either way, beef or lamb, but his recipe involves more herbs, more potatoes, and a casserole dish. This recipe was definitely less time consuming, but not quite what we were used to. It was delicious, and even B gave his seal of approval. Our problem with this dish was we got a really huge parsnip and teeny tiny potatoes. The ratio of meat mixture to potatoes was off, but I really liked the parsnip/carrot vegetable combination. 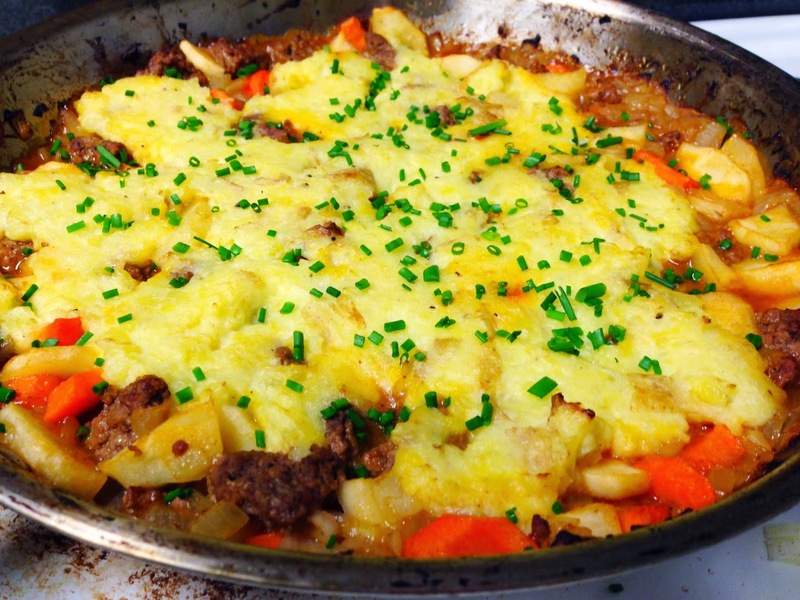 Definitely a new way of doing Shepherd's Pie, and I think tastier than peas. Overall, this week's Plated was a hit, we really liked both dishes. I just don't know if it will ever beat that Papaya Pork rice dish I made for my first Plated delivery! If you would like to try Plated 50% off and get 2 meals for free, just click the link, the discount will automatically be applied when you order. Or you can enter 92fc3a at checkout as well.